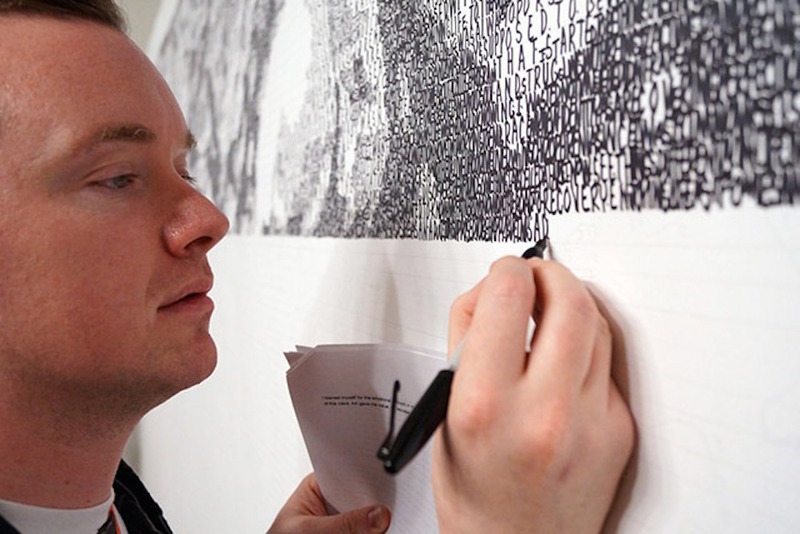 Artist Phil Hansen is a multi media creative daredevil of Ted Talk fame. He challenges himself, and his audience, to spark creativity by thinking inside the proverbial box. His theory is that by embracing limitations we can soar further than ever imagined. Early in his career, Hansen was challenged to embrace his limitations or walk away from the production of art entirely. As a pointillist artist experiencing neurological damage in his hands, he determined to embrace the shake. By embracing limitations and then going even further to self impose a few of his own, just for the fun of it, he has embarked on a prolific creative joy ride to see where being in the box can take us.